Figaro lives next-door to my mum. Her owners thought she was a male kitten when she first arrived and gave her a boy’s name. She turned out to be a girl, but kept her name. I came across her and snapped her photo yesterday when visiting my mum. 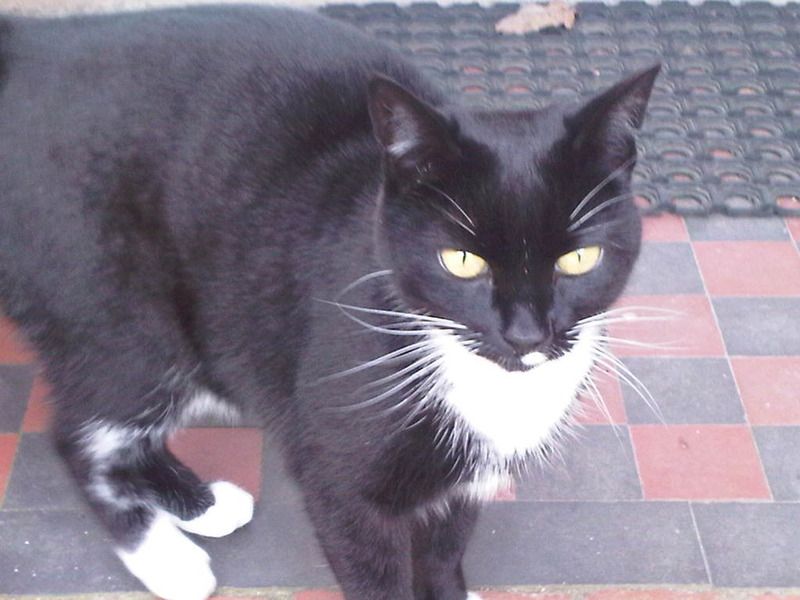 Figaro was waiting outside her front door for her owners and was happy to be stroked and pose for the camera.